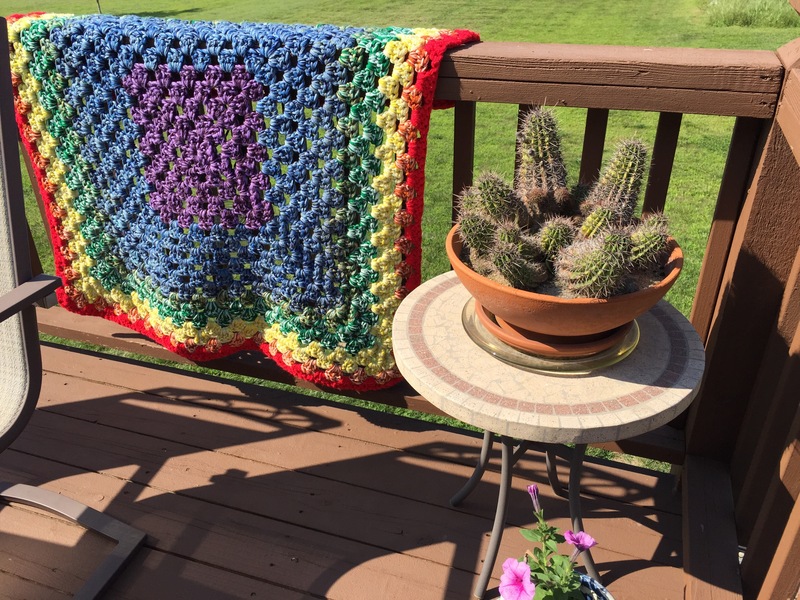 So waaaaayyy back when I started this little bloggity adventure many moons ago, I shared my rainbow granny rug. I made it to warm up my pitiful little laundry room. It was looking pretty rough lately, so I gave it a big ole reboot. I recycled about 90% of the yarn, added a little more, and reversed the colors. What’s old, is new again. how did you recycle the yarn, o Magic Crafty Woman? Well done! Of course I like it. Very cool Lisa! Thanks for sharing.